Designed for spaces where a statement, with timeless appeal, is needed to style an outdoor wall. Using hammered edged iron in plain and twisted profiles with lots of detailed elements creates a piece you might see in the streets of France, where you still find handmade iron from an era when detail defined quality. Ideal as a statement piece for walls in large projects. 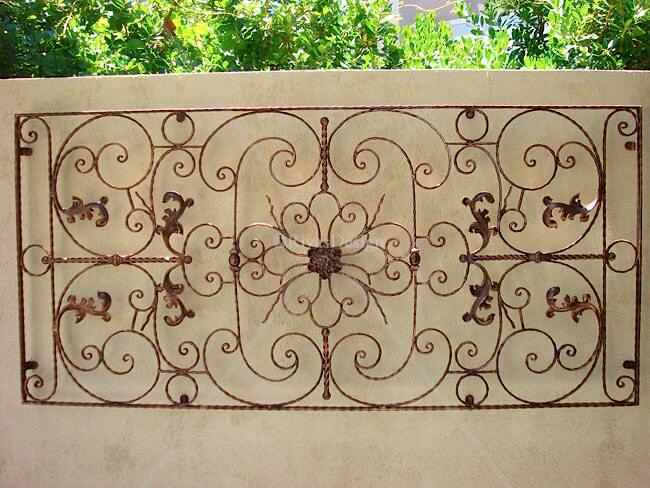 This timeless trellis design will bring a European feel to large walls in outdoor spaces. Used as a grand feature, it will bring elegance and style to your garden. This trellis sits off the wall, casting gorgeous shadows behind it in sunlight spots. 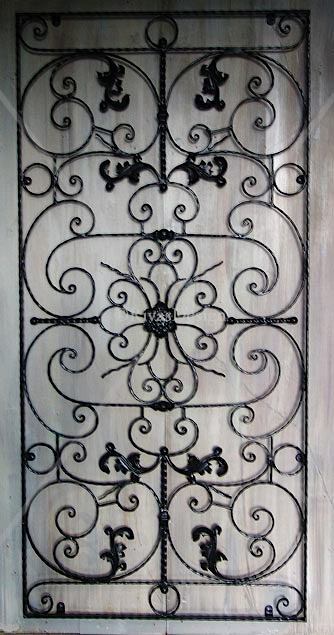 Individually made in solid wrought iron, hot dip galvanised for maximum weather protection. Made with attention to detail & available finished in black or black brushed with copper.